Discuss on common issues in iPod like iPod touch screen issues and whom to contact for repairs - Most Trusted IPhone Repair Specialist. Iphone 3GS/4/4S/5/5c/5s, IPAD 2/3/4, Mini, Air, IPod Touch 4. Nobody can fix it? Bring It On. iPod was one of the best inventions from Apple which changed media players forever. iPod was designed by Jonathan Ive under the direction of Steve Jobs. Apple announced iPod on October 23, 2001. iPod changed people’s view about entertainment distribution and media players. iPod are in huge demand because of their touchy-feeling. Apple never invented touchscreen; probably they acquired this technology when they snapped up a company called ‘Fingerworks’. 1.1 iPod was one of the best inventions from Apple which changed media players forever. 1.2 Apple never invented touchscreen; probably they acquired this technology when they snapped up a company called ‘Fingerworks’. 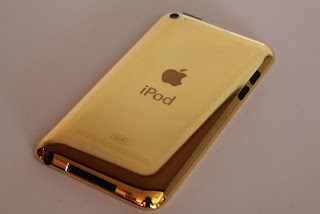 1.5 Our iPod Specialist will perfectly take care of your iPod and assures you best service. Apple’s engineer used touchscreen for Graphical User Interface (GUI) to create whole new kind of interface. iPod gives users the illusion of physically manipulating data with their hand, changing tunes with finger touch much more. To attract more customers toward this gadget, Apple is promoting various special offers on iPod. like iPod classic which stores media on an internal hard drive, touchscreen iPod touch and ultra-compact iPod shuffle etc. which uses flash memory to store media which reduces their size significantly. Storage area for these iPod varies from 2GB for iPod Shuffle to 160GB for iPod classic. In this article we will discuss on common issues in iPod like iPod touch screen issues and whom to contact for repairs. Application issues, updating iPod software, iTunes are not synchronizing etc. Some of these issues you can resolve by your own like Frozen or unresponsive iPod touch sometimes may get resolved by restarting iPod touch. but other issues require iPod specialist for perfect repair. Issues like iPod touch screen repair may not be resolved by yourself and may get worsen if you play with it. Most of the times poor skills or cheap quality of spare parts will be reason for high failure rate of iPod. For all your iPod issues you can contact your local iPod repair centre at http://www.iPhoneSpecialist.com.au/ or you can call us at 02 8003 588 2 or 0402 260 878. Our iPod Specialist will perfectly take care of your iPod and assures you best service. We have very experienced and expert engineers to take care of your iPod. If any of your local service provider not able to fix your iPod issue, You are always welcome to come to our store to fix the issue. Along with iPod we also provide service for iPhone as well which includes iPhone screen issues, water damaged iPhone and many more. You can reach us at any time to repair your iPod touch issues.